From my review yesterday of the Ghost Pepper Sauce by Hot Lines, I decided to dive right into the bottle of Hatchanero that I also picked up at Hubble & Hudson. 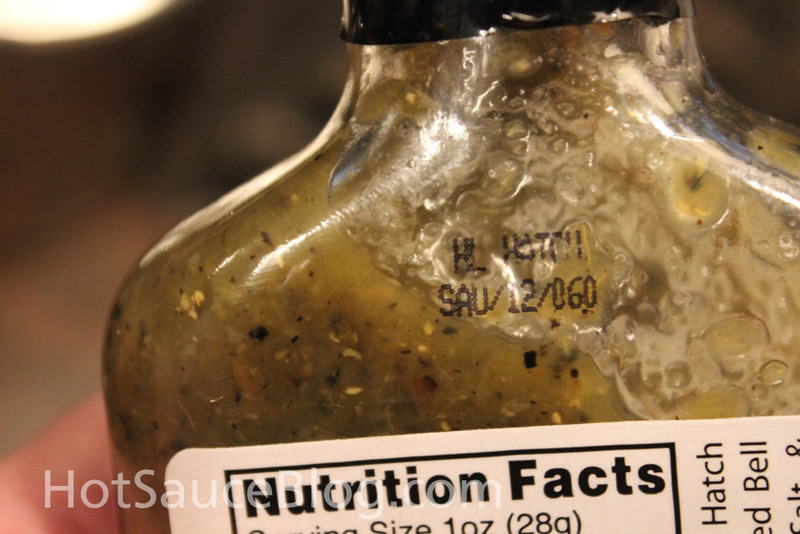 There are a few minor differences between the bottles – the back label on this sauce didn’t contain any company information or a description of the sauce, just nutritional information and the product SKU. Not sure if this is a newer label or an older one – but that’s why I’ve rated this label a bit lower then the last one because it was missing a few key items. Like the Ghost Pepper sauce, you can really see the roasting that went into the sauce – just looking at it in the bottle, the black flecks, pieces of peppers and spices can all be seen – all excellent signs of a well balanced sauce. 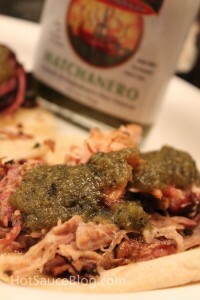 Being that this was a green based sauce, I wanted to try it on something more fitting for my taste buds – so I heated up some of the leftover pulled pork that I smoked on Sunday (11 hours at 225 low and slow) and made myself some pulled pork tacos. You can see from the pictures (click to zoom) just how great this sauce looks – so you can bet my mouth was watering. 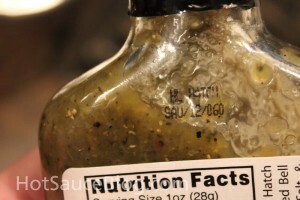 But on first bite, I noticed something that made me look more closely at the ingredients – jalapenos are the first pepper listed and most certainly the first pepper you taste. I could not discern any of the Hatch chiles or even the habaneros. And then I finished reading the ingredient list and saw that it was habanero mash – and it was dead last in the pepper order – even after the Bell peppers. Now, don’t get me wrong, I like this sauce. But with the name “Hatchanero” I would expect to taste Hatch chiles and Habaneros – not jalapenos. I enjoyed the sauce anyways – embracing it’s jalapeno flavor and pouring more on my tacos then you see in the photos (hands get too dirty for the camera). And while I didn’t get any of the habanero flavor, I did get some of the heat. More of a creeper heat – you know what I’m talking about – that heat that hits when you are on the last bite of your plate. A pleasant after-burn of sorts. 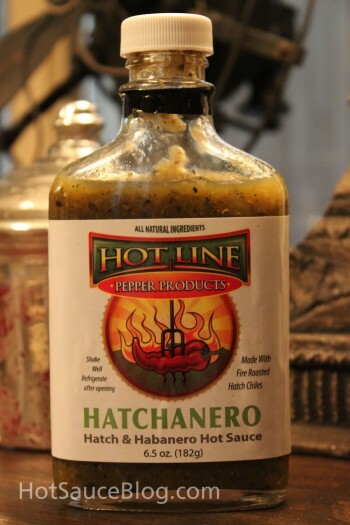 So not all is lost with this sauce – I’m just disappointed that it didn’t deliver on it name – but then again there are plenty of hot sauces out there that don’t. I dig the company and think they have a lot of great sauces to offer – the Ghost Pepper Sauce was fantastic, this one just fell a little short on it’s promises for me. Would I buy it again? 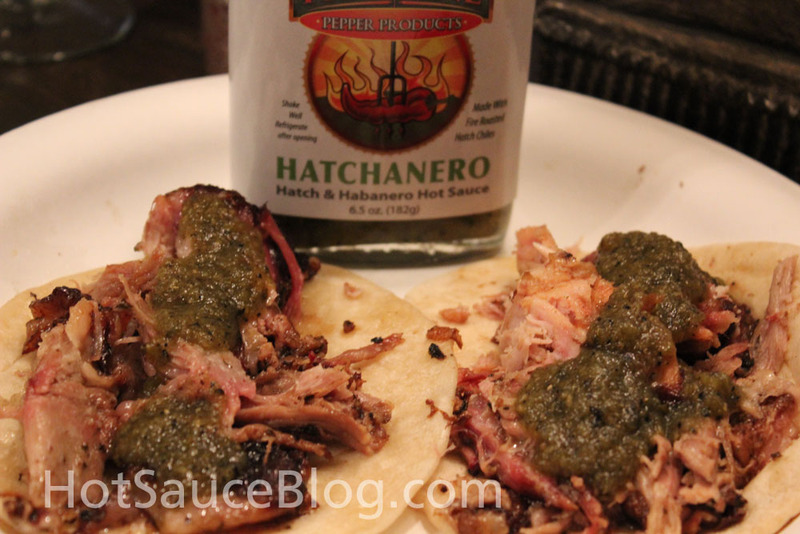 Probably not – not because it’s not good (I will definitely finish the bottle) – but I’ve tried this one and unless the recipe changes, I can find another jalapeno sauce to fill space in my fridge. 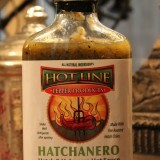 But if you are on the look out for a great Jalapeno sauce, you should try this one out – like I said, it’s darn tasty. And I can’t wait to try out their other offerings as well – I hear that the Garlic one is not a sauce to miss.